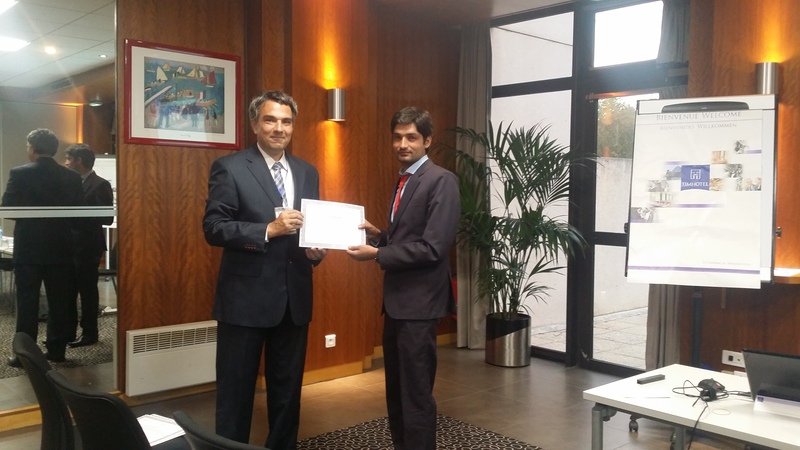 Congratulations to Anup Poudel on winning the Best Oral Presentation (session 2) at the 2nd International Conference on Mechatronics, Materials and Manufacturing (ICMMM 2015) held in Paris from 3-4 August 2015. Anup is a research postgraduate and WIT PhD Scholar in the Convergent Technologies Research Group (CTRG) within the School of Engineering. He is supervised by Dr Austin Coffey, Philip Walsh and Dr Ken Thomas.